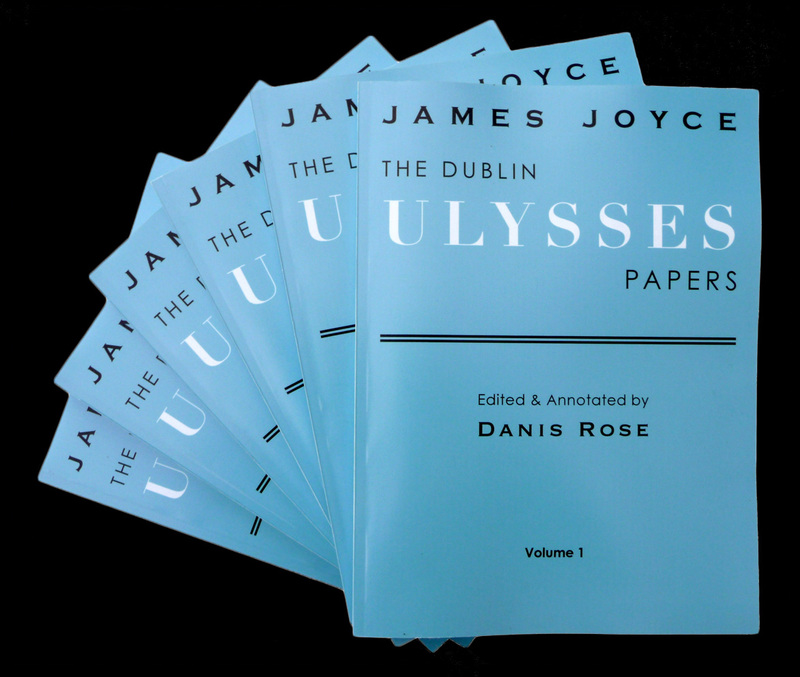 The Dublin Ulysses Papers by James Joyce, Edited and Annotated by Danis Rose (House of Breathings, 2012). This 6-volume Scholarly Work Makes Available for the First Time in Print the National Library of Ireland’s Major Collection of James Joyce’s Early Drafts and Notes for ‘Ulysses’, ordered, annotated, internally interrelated and contextualized by Danis Rose. This entry was posted in Uncategorized and tagged Danis Rose, Genetic Criticism, House of Breathings, James Joyce, James Joyce Copyright 2012, James Joyce Manuscripts, National Library of Ireland, Quinn Manuscript, The Dublin Ulysses Papers by James Joyce, Ulysses, Ulysses Drafts, Ulysses Notebooks. Bookmark the permalink.